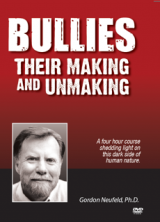 Three 1-Hour Sessions, Plus 1 Hour of Bonus Material. This three hour course speaks to the question of what to do when … but does so in the larger context of what is required to raise children to their full potential as human beings. 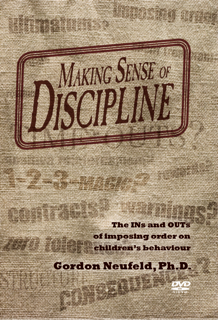 Some of the prevailing discipline practices – like time-outs and consequences – are discussed from this perspective. 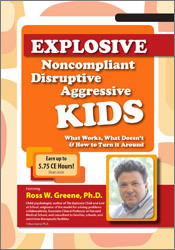 In three short hours, participants have the opportunity to develop a comprehensive approach to discipline with strategies that are attachment-safe and developmentally friendly. The ultimate objective of this course is for parents and teachers to come to the place where the answers will come from their own understanding and where they possess the inner confidence to handle the small stuff as well as the more challenging issues. 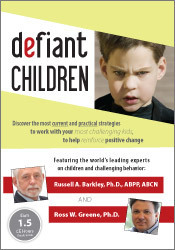 In addition to the three one-hour sessions, the DVD set comes with 1 hour of bonus material- Session 7 of Power to Parent III – that deals with the special challenges of imposing order on stuck kids.